We have written about the topic of screen-time for children several times on this blog. It’s a sign of our society today. As kids have more multimedia options than ever before, researchers are continually trying to assess the long-term effects of technology on children. And many parents, myself included, are trying to assess what all of that means for their own household rules. But I worry about what that means for his development. Am I ruining his ability to focus, or creating problems that will surface later in school? When Rachel Dunifon, associate professor of human development at Cornell, posted a comment in our previous post about TV-watching, I was anxious to read her opinion. Dunifon shared a study published earlier this year in the journal Child Development, which reexamined more than 1,000 mothers’ reports of television-viewing for 1- to 3-year-olds, and the assessed those children’s attention problems at age 7. 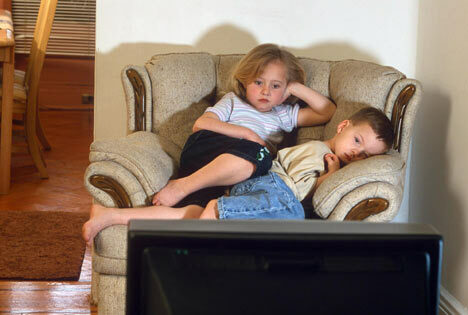 The study found, among other things, that watching TV is only associated with a higher risk of attention problems in children who watch seven or more hours a day. It also suggested the effect of television may depend on the “quality” of viewing. Children who watch educational television have actually shown higher school readiness and language skills compared with children who viewed general programming. Those results made me feel a lot better about the TV rules in our house. For now, our son is allowed to watch a half-hour a day of a recorded, educational show. That gives me a little extra time to jump in the shower or get dinner on the table, and it gives him a little down time to relax as well.